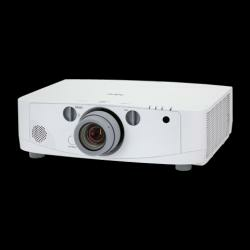 Present with carefree ease using NEC's 5000-lumen PA500U. This reliable model is designed for advanced professional installations and appeases corporate and higher education users. With integrated RJ45, optional high-speed wireless (LAN IEEE 80.11b/g/n) and a multitude of simple-to-use asset management technologies, the PA500U helps users present seamlessly without worrying about their technology. 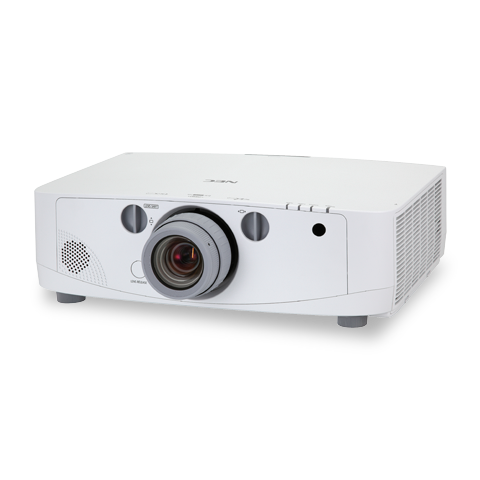 The industry?s first built-in stacking correction capabilities (up to four projectors) allows the projectors to boost an image?s brightness up to 20,000 lumens, which is ideal for larger-sized screens and environments with heavy ambient light. This feature also prevents the complete loss of an image, which can happen when using only one projector.